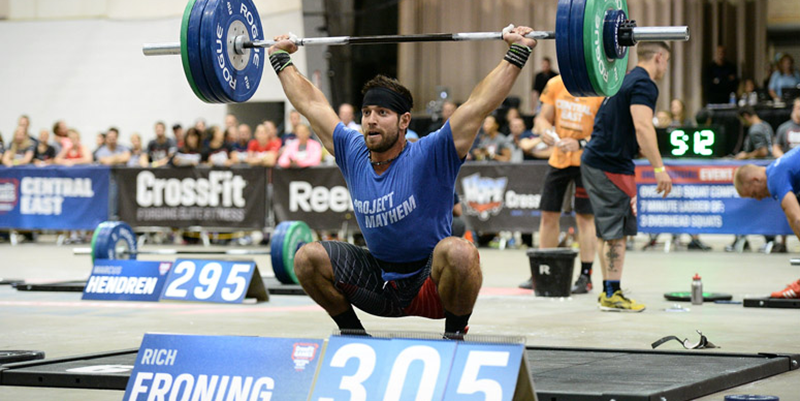 Tips from Rich Froning to help you become a better athlete and a more successful individual. One of my great passions is studying the advice of the world’s most successful. 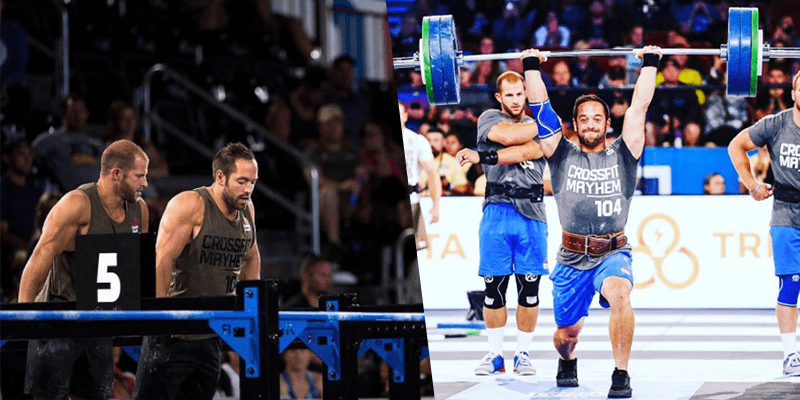 On my Crossfit journey, I discovered Rich Froning Junior. 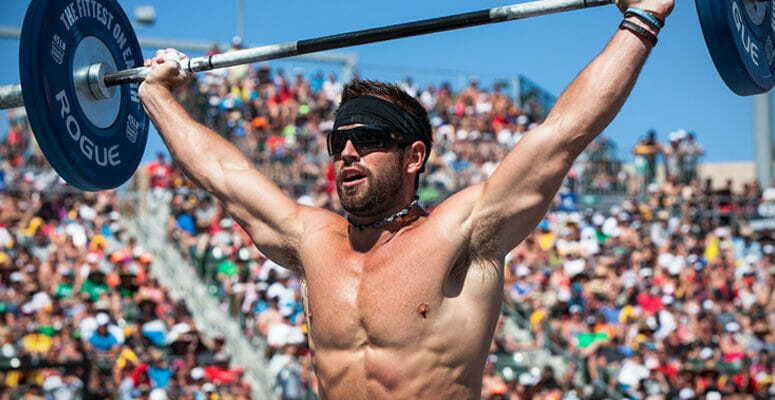 He is widely regarded as the best Crossfitter of all time in the short decade of the sport’s existence. He won back-to-back four years in a row as an individual and came in 2nd place the first time he competed, a feat no one has come close to. 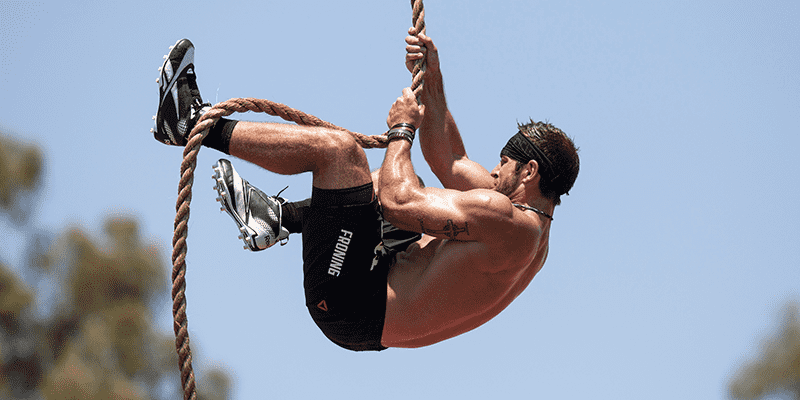 I want to share with you the top lessons I learned from Rich Froning’s book First: What It Takes To Win. This is advice Rich gave that applies to achieving any goal, including Crossfit goals. Rich developed his work ethic not from someone lecturing him, but by modeling his parents. His parents taught by example instead of by instruction. They worked endlessly and rarely sat down to relax. When Rich was young, he had over thirty-five first cousins — on just his mother’s side. Family reunions were a natural grounds for competition. He and his cousins competed on everything, from video games to sports. It stoked his competitive fires. One of Rich’s self-professed biggest secrets to success is that he always surrounded himself with people who were better than him, pushed him, and held him accountable. Rich enjoys training with people that push him to be better! You can’t make excuses when you are around people who will hold you accountable. You are also pushed farther when people around you are performing better than you. On a similar note, there is one person who was the first back-to-back two-time Crossfit champion. And it wasn’t Rich. It was a girl named Annie Thorisdottir. Rich said she was the most competitive person he had ever met, boy or girl. He noticed that it’s something they shared in common. Both of them are extremely competitive. 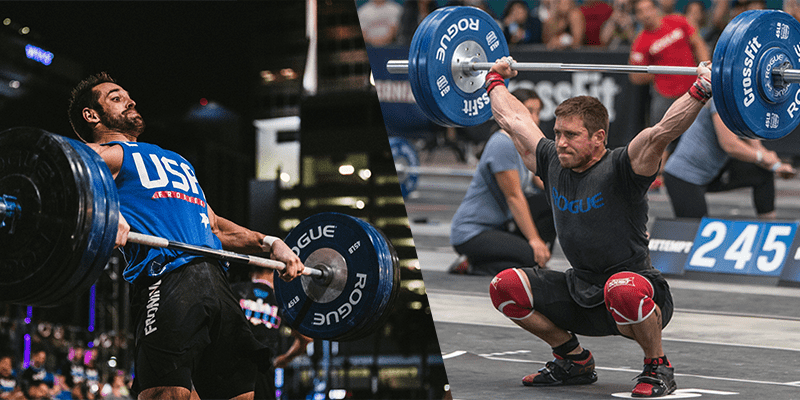 One time, during a demonstration, they both started lifting 100% of their one-rep max even though they agreed they would do 70% of their one-rep max. The first time Rich competed in the Crossfit Games, he was intimidated by everyone else who showed up. The same reaction replayed during the Regionals, Sectionals, and actual Games. He saw everyone there as physical specimens and he thought he didn’t belong there. Yet every time, he took home first place by a wide margin. He realized that he was not viewing himself in the same lens he views others. Nowadays, people say he has a monstrous appearance worth admiring. But he says he was only ten pounds lighter before he began training to be a world-class competitor. The lesson is to not count yourself out. Give yourself the self-worth you deserve. Rich placed second in his first ever Crossfit Games. But he was devastated because he had failed the last competition because he didn’t know proper rope climbing technique and couldn’t climb the rope in the last event. He had lost by just three points because he was unprepared. Had he known, he would have easily been first. However, this failure motivated him beyond belief. Some people say he would have won four years back-to-back if it wasn’t for the rope climb event. Looking back, he says he would not have won any if it wasn’t for the rope event. He was confident it was the devastation of coming in second place that drove him to train and win so many times later on. And he didn’t have good answers. It put him in the longest period of self-reflection in his life. He only prayed for his selfish reasons. And he didn’t like the legacy he was leaving because it was just about his achievements. By having a purpose beyond yourself, you are more motivated and work harder and longer. Because of this revelation, he returned to his faith in Christianity. The stories he had read in the Bible in his childhood actually had meaning. Mental toughness a key to success in Crossfit because it helps you push farther. Rich has trained a lot of different people in Crossfit. He still wonders why some of them have mental toughness and other don’t. As far as pushing your comfort zone early on, he means you can’t rely on your genetic gifts. He has observed many successful athletes rely on their talents to get them through high school. But when they hit college, they meet people who have the genetic skill and the mental toughness from pushing past their limits. Therefore, always push yourself farther than you can go. Don’t just try to skate by on winning the genetic lottery. In this section, we cover Rich’s advice specific to Crossfit or fitness. Crossfit is about endurance across a variety of taxing physical exercises. Rich realized during his competitive days that to win, it isn’t about coming out first in every workout. It’s about scoring among the top people for most of the exercises. It’s similar to a Triathlon or Decathlon in a way where it’s the average score of all your activities that matters. Therefore, if you don’t have a meltdown and screw up completely in an exercise, you’re on your way to being a winner. This may or may not be a bad thing depending on what your goal is. For workouts in Crossfit, it’s a bad thing. To be the best in Crossfit, it’s about being great at numerous different workouts. By focusing too much on endurance, for example, you can fall behind in powerlifting skill. To be great at any of the possible variations they can throw at you during the Games, you have to prepare yourself by being great at all of them. The first big key to success in Crossfit is simply showing up consistently and doing more Crossfit. The second key is to avoid seeing what your competition does. The Crossfit media love to scout out top players and find out what unique workout routines or tricks they’re using. Rich avoids doing any of that. Rich lets his body tell him when he has been slacking off and needs to work out more and when he is exhausted and needs to take a break. He usually does at least two hour long workouts a day and aims for 5 metabolic workouts a week and 6 Olympic/ powerlifting workouts a week minimum. Often the training volume is much higher than this. His body is usually accurate in telling him when he has been slacking off and needs to turn up the heat for the workouts and when he needs to rest to recover. Your body may not be as accurate as Rich’s though. You can use it as a compass, but consulting trainers, professionals, or friends is important. Rich confesses that there are thousands of people who are athletically more skilled than him in every way. So how has he succeeded? It’s his mind. He says during the Crossfit Games, it’s 70% mental and only 30% physical. He has trained many people who have bodies that have the potential to go a lot farther, but they won’t because their mind tells them to quit early on. I found a study in the book The Willpower Instinct that discovered that the human mind sends signals of exhaustion far before your body actually exhausts as a safety measure. The lesson is that you can push a lot farther than you think you can. Rich would reward himself with the workouts he enjoyed (Olympic lifts) after workouts he hated (running). This helped balance him and prevent him from burning out. Rich doesn’t take any pre-workout. He does take protein shakes for breakfast. He takes supplements but advises you do your homework before you do. There are a lot of bad supplement companies out there. Check out the reputation of the brand behind the supplement before you use it. The less sugar and the more natural, the better. He eats and drinks until his body feels full. He doesn’t track calories. Having said that, I noticed he also eats pretty clean naturally. For Rich, there is no set routine; it’s based off how his body feels. There is no regiment, like arm day or back day; he goes off feel. He mentioned in the book that he will sometimes do three or more WODs (workouts of the day) in a single day. I wouldn’t advise doing the same thing. Rich’s body seems to be genetically better attuned to knowing when to keep going and when to quit. The rest us of may be quite off. There is a saying by Tim Ferriss and Malcolm Gladwell, two people who make their living studying successful people. It goes something like, “The world’s most successful people are successful in spite of whatever they do, not because of it.” I’ve heard fitness Youtubers say the same thing. What’s the lesson? Just because these people are genetically gifted to be able to avoid tracking calories and knowing what workout to do doesn’t mean you do. Rich’s wife, Hillary, has always helped him stay balanced and humble. She doesn’t care much about Crossfit or what place he gets in the Games. She even has a “No Crossfit Talk” period in her house. This is perfect for Rich because it helps keep his ego in check. It reminds him to not make Crossfit his identity and that it’s only a channel for him to promote Christianity. I do not know if being humble actually helped with Rich’s success. However, he was always a humble person and never thought his achievements in Crossfit defined him. It was always more about promoting his religion and his sport. He even said that he doesn’t see himself as more than another guy who likes doing Crossfit. Rich worked as a fireman for many years after he graduated college. During the job, he learned that there was always a fire going on somewhere. No matter how peaceful or quiet it was, he realized there was always something amazing or tragic going on out there in the world. It changed him to see young, innocent people die. He finally reasoned that God has a better plan for all of this, even if it seems tragic in the moment. 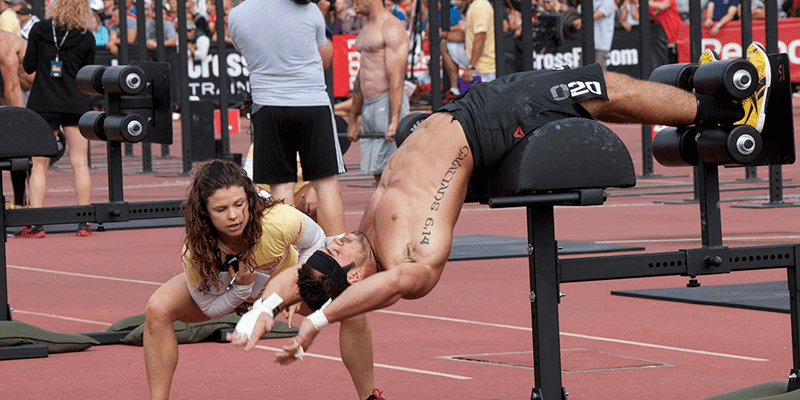 While he competed during the Crossfit Games, he didn’t like crowds of people watching him because he thought it was uncomfortable watching him workout. It wasn’t enough for him to affect his performance, though. After Rich won his second championship at the Games, they held a celebration party that night. He knew it would be packed to the brim with crowds of people because he was now the first male back-to-back winner. Those numbers turned him off. He never liked crowds of people. He skipped the party and had a quiet dinner with his wife and a couple close friends. How do you decide which Crossfit box to go with? First, make sure it’s an affiliate. It’s worth the investment. Second, see what the coaches are doing during the workouts. If they’re on the floor, coaching the students, it’s a good box. If they’re on their phones checking their email or texting off the floor, it’s a bad box. No matter how tough the workout is, there is always some way to make it fun. One thing that Rich always saw no matter where he went was that Crossfitters were always happy. Don’t compare yourself to what others are doing because they may have years of experience ahead of you. Just start wherever you are and go from there. Most of the book was more of a memoir than a “secrets to success.” Having said that, he did manage to squeeze in quite a few tips. I was surprised how ordinary or anti-superstar he is. He doesn’t follow a workout routine. He doesn’t track calories. He goes by his gut. He eats until he feels full and drinks until he’s not thirsty. He’s also an introvert (like me), and doesn’t enjoy crowds — even when competing. He also went into the whole thing thinking he didn’t belong, only to come in 2nd place in the whole world. What’s also interesting is how cliche most of his advice is. But maybe that’s the beauty of it. There is no secret sauce you haven’t heard before. The trick is to just take the generic advice you’ve heard before and follow through. Maybe the problem is that people glaze over advice like this. Having said that, I personally did pick up some tips I hadn’t heard before. It took some digging, but I found some gems. For me, it was his ideas and emphasis on the mental game and improving mental toughness.